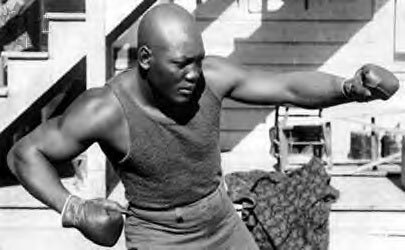 On this day in 1905, future heavyweight champion Jack Johnson won a six round newspaper decision over fellow legend Joe Jeannette. It was one of several bouts Johnson fought in Philly. His other opponents here included Bob Fitzsimmons and Philadelphia Jack O'Brien. Johnson took the world heavyweight championship in 1908 with a TKO over Tommy Burns in Sydney, Australia.